Trust Master Plumbing to keep your Germantown water heater running smoothly! It’s that time of year again, folks. The endless cold has driven everyone inside, and a nice hot bath or shower is just the thing to shake off that persistent chill that just won’t go away. But what do you if you get in the tub or your shower and the only water that comes out isn’t much warmer than the air outside? This means you’ll need hot water heater repair for your Germantown home. 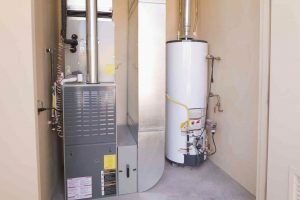 When the experts from Master Plumbing come to your home in Germantown, it would be an enormous help if you could tell us where your hot water heater is. That way, we can begin hot water heater repairs as quickly as possible once we arrive. The easier it is to reach the hot water heater, the sooner the necessary repairs can be completed and you can go about your day again. We understand that attics and basements can be hard to get into and are often cluttered storage areas instead of an active part of your family’s life. But when something goes wrong, then it becomes a problem. Give Master Plumbing a call at (301) 650-9100 or contact us online to get more information on how our expert plumbers can help you with your Germantown home’s plumbing system. We have received Angie’s List Super Service Award recognition for plumbing and drain cleaning every year since 2007, in addition to the Best Plumber award from Best of Bethesda. We are fully licensed, bonded, and insured and our service is unparalleled. Give us a call today—you won’t regret it! To see examples of our projects, follow us on Facebook, Twitter, and Pinterest.